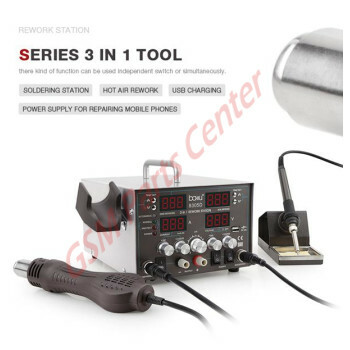 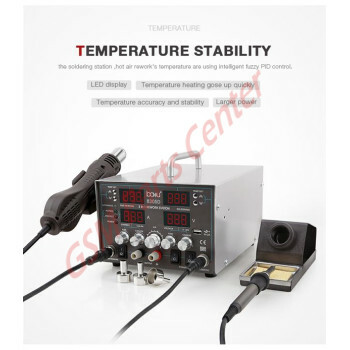 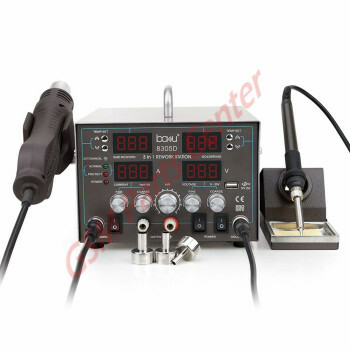 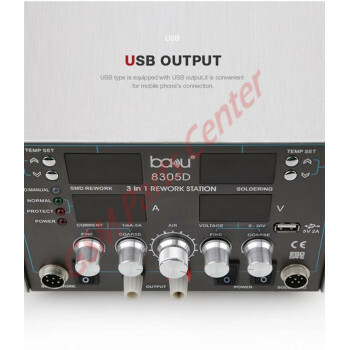 Four-in-one multi-function instrument (welding station, hot air gun, power supply, USB Conector) Soldering iron, hot air gun and power supply with independent dual-core micro-controller control, independent work, even if all the way to the problem does not affect, but the other way the normal work. 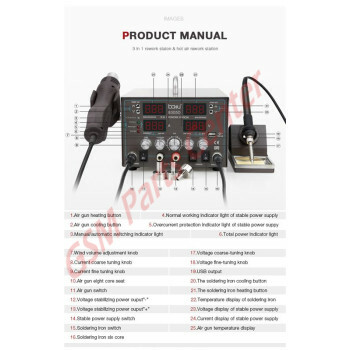 Each part of the machine has self-detection function, all intelligent over-temperature, short circuit, open circuit, overload and other fault display and protection. 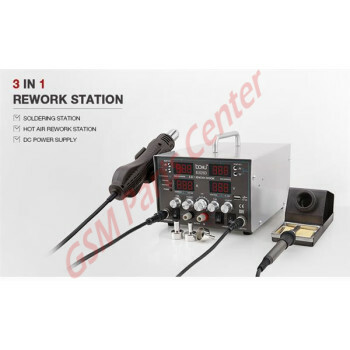 Hot air rework with sensor switch, as long as hand grip the handle, the system can enter into working mode quickly handle released into the handle frame, the syetem will enter into standby mode, operating convenience, it can prolong heating elements life and protect the hot air gun. 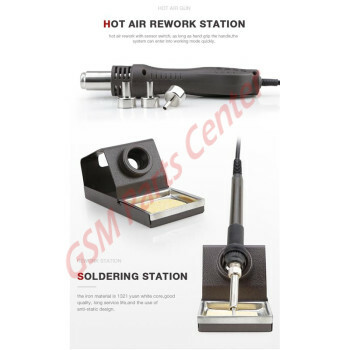 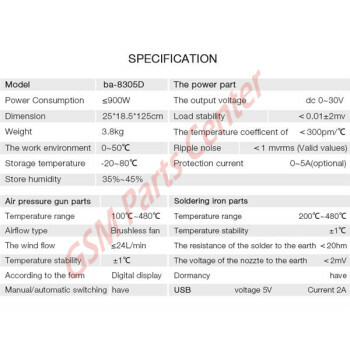 Soldering iron material is white core, good quality, long life, and the use of anti-static design.